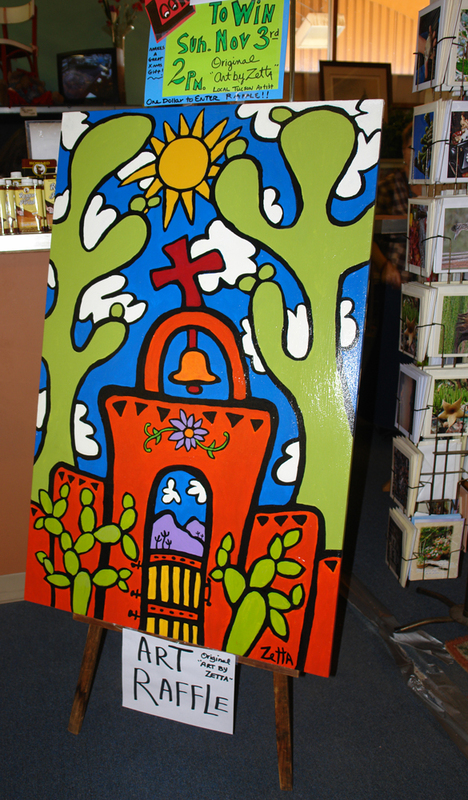 We are holding a raffle for this large painting by local Tucson Arizona artist ~ Zetta. Drop by Copper Country Antiques and get your raffle tickets for $1 each. It would look great in your place! On Sunday November 3rd it could be yours. Copper Country Antiques has an ever changing inventory of vintage, antique, contemporary and collectible items. Enter your email address to subscribe to Copper Country Antique's blog and receive notifications of new posts by email.